For information regarding the Haverhill Healthcheck Report for January 2004 please view the two PDF documents to the right of this text. 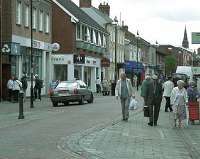 Does Haverhill, its rural hinterland and the villages which have links to the town have a future? 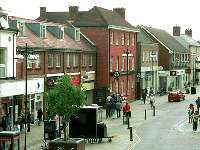 Do you have constructive views which could contribute to a better Haverhill? Are you interested in getting more involved in shaping a plan of action for Haverhill's future? If you answered yes to just one of the above questions then read on, because between June and November this year, you have a chance to influence Haverhill's future! The first stage of the Heathcheck process is to get people involved, find out their views, opinions and ideas. People are being interviewed on the streets of Haverhill and its surrounding hinterland - the reason you're reading this is possibly as a result of just such an interview! These interviews are intended to find out what people's true views are about a broad range of issues which affect their lives. 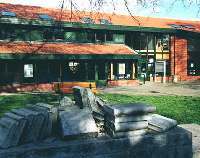 Self-complete questionnaires have gone into Haverhill's Middle, Upper and Independent Schools for children of 11 years and upwards to complete. Amongst other things, these will identify how the young people of Haverhill spend their time and how they use the town. Questionnaires will shortly be provided to local businesses as well, inviting them to develop a picture of their feelings concerning issues related to trading, employment, and links with the community, etc. As Haverhill's ever expanding business community plays such an important role within the town, your views will be a vital source of information needed for making the Haverhill Healthcheck a success. Local groups, associations, clubs, etc., being identified who might wish to get involved or have a view. Indeed, you might be a member of one which you feel should be involved, if so, let us know.